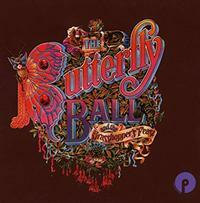 After Roger Glover had left Deep Purple, he was looking for a new project and came upon about titled "The Butterfly Ball." He decided to create an album based on the book. This is that album. Glover assembled a number of musicians including singers like David Coverdale, Glenn Hughes and Ronnie James Dio. Another musician included here that is of particular interest to me is Les Binks on drums, as he was Judas Priest's drummer at one time. This album is essentially progressive rock, but not everything is prog. It's all entertaining. The single "Love is All" was (as Glover explained) inspired by The Beatles' "All You Need Is Love" because Glover felt that the song (in the book) was inspired by that song. This box set is quite nice. First you get the main album. Next up is a disc that is split between alternate mixes and demos in the first half and a radio show Glover did promoting the album for the second half of the disc. The third disc is a reissue of a three song EP of tunes from the album. Each disc gets its own mini-album sleeve. There is also a large book included in the box. The final piece is a nice poster-sized fold-out lyric sheet. That all comes inside of a nice cardboard box. This is well worth having and a very classy release. Ambient textures make up the first half of this short piece. It gets into more trippy keyboard based sounds with nature elements as it continues. This song features Glenn Hughes. It comes in with a rather Beatles-like motif. That shifts to proggier stuff. As the vocals join it becomes a bit of a combination of those two sounds. This is a killer rocker that has a lot of psychedelia in the mix. Weird old time styled music is on hand here. This number features Helen Chappelle and Barry St. John. It is very English in nature. There are hints of psychedelia in the mix, too. Featuring Neil Lancaster, this is another odd number. It has some of that old time sound in the mix at the start. It works out to more of a rocking thing. It's very theatrical in a lot of ways, but has a lot of psychedelia built into it. I really like the group vocal parts, and some of this seems built around a very Beatles-like texture. This keyboard solo is very much a prog rocker. It's also quite classy. Featuring Mickey Lee Soule, this is a cool rock and roll meets jazz kind of number. It's energized and fun. At about three and a half minutes of music, this is one of the longest tunes here. With vocals provided by David Coverdale, this is one of my favorite things here. It has such a dramatic and powerful progressive rock vibe to it. It's a killer tune. This feels like it comes right out of the previous tune. It has a bit of a soul sound to it along with some psychedelia. Liza Strike provides the vocals. I dig the organ on the tune. Judi Kuhl (actually Roger Glover's wife) provides the vocals on this number. It has some old school rock and roll merged with bouncy psychedelia and more. This number has vocals by Ronnie James Dio. 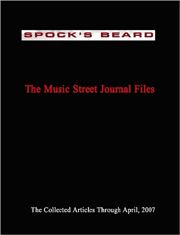 It starts balladic and grows out for sections. This is one of the most decidedly progressive rock based numbers here. It's also incredibly dramatic. The instrumental break is such a cool (and purely prog rock) musical passage. Overall, this is probably my favorite track of the whole set. Jimmy Helms provides the vocals on this tune. It's sort of a musical theater goes proggy number. It's solid, but not really my kind of thing. Here is another highlight of the set. This hard rocker feels a lot like Deep Purple but with a bit more prog rock in the mix. It features Eddie Hardin. A military styled percussion elements opens this. The cut is a progressive rock instrumental built around a lot of keyboard work at first. It turns toward the symphonic for a time as it approaches the middle of the track. Then more rock sounds are added to that mix. Fast paced progressive rock jamming opens this. The cut is among the most purely prog stuff here and really works well in the introduction. Then it drops down to a honky tonk piano jam for the vocals to enter. It has an old school bluesy kind of vibe on hand. Tony Ashton provides is the voice of this tune. Featuring John Gustafson, this is a killer progressive rock stomper. It's packed with cool and a bit of hard rock fury. There are also plenty of symphonic elements in the form of the classical instrumentation and break. Symphonic and fairly mellow, this is a pretty cut. John Lawton provides some powerful vocals. This is a pretty and quite potent piano solo. Ronnie James Dio is back for this number. It comes in with a real Beatles-like build out. It shifts to a different type of Beatles-inspired jam from there. This is a fun piece. The fast paced instrumental movement later in the cut is a lot of fun. Dio is back on this piece. This one is mellower and has a lot of symphonic elements at play. It gets more rocking as it continues, but is sort of a power ballad in some ways. It has some musical theater in the mix, along with some Beatles-like elements. There is a dramatic vibe to the tune. There is a children's choir on parts of this song. Here we get just what it says it is. I like how the alternating vocals seem to really contrast each other on this version. This is even more Beatles-like than the final number was. In some ways I like this better. This is perhaps even trippier in this mix. I like this cool keyboard solo a lot. It's so progressive rock oriented and tasty. Starting with the old fashioned sounds, this works out nicely to more rocking stuff. Another version of the previous keyboard solo, I think I might like this one better. It's a cool cut in any version. Somehow in this alternate version this cut sounds like something Ringo Starr might have done. I'm not crazy about the vocal on this alternate rendition. Still there are some cool instrumental moments in the mix that make up for it. This version of the cut works well. Bouncy and tasty, this is a good tune. This is an introduction to the radio special. It includes narration along with bits of the music. It also includes Roger Glover himself talking about it. Here we get the "Old Blind Mole" song. You know what you've got here because of truth in advertising. Glover is back talking here along with bits of the music. Here we get the song. Glover is back talking about the music here. And, as you might guess, this is the song from the first CD. We get more of Roger Glover talking here. Again, we get the song. As you might guess, here we get more of Roger Glover talking about the album. And, the second disc is closed off by the song. Here we get the song from the album proper. This one is also self-explanatory. I bet you know what this is, right?